With Ready Player One headed our way at the end of the month, I went back and watched all of Steven Spielberg’s 31 films and painstakingly ranked them top to bottom (or from bottom to top as the case may be). Each week, I’ll be dropping a section of the list as we inch closer to the big RPO debut on March 29. You can find week one here and week two here. This week, we’re looking at the Spielberg films that fall just outside of consideration for his best, numbers 11 through 17. Sorting this set of movies out and ranking them was quite difficult, much more so than the previous two sets. We ran out of straight-up bad movies some time ago and have now gotten through the, “average to above average” group as well. These are all good to very good movies (again, by my estimation only) and it’s beginning to come down to personal attachment and the splitting of hairs on tiny flaws. As I wrote this section of my rankings, the bottom of the list and the top stayed the same but I shuffled the five films in between a half-dozen times and I’m still not completely happy with where I ended up. Nevertheless, it’s printing day and I must deliver my battle cry (BANGARANG!) and tarry on. If, like me, you exercise selective memory regarding Kingdom of the Crystal Skull, you could consider War of the Worlds to be Spielberg’s last big blockbuster movie. 15 years between true live-action popcorn movies is quite a feat for a man who made his name on blockbusters, so much so that his “serious” films had trouble gaining credibility with critics in the mid-80’s and early 90’s. Much like Empire of the Sun (and this will be the last time I use this defense, I promise), I feel like War of the Worlds’ relatively low placement on this list is an indicator of how great Spielberg’s filmography really is. All around, this is nothing but an extremely solid, reliable, consistent action flick starring the greatest action star the world has ever seen. (Tom Cruise haters form an orderly queue to the left and I’ll deal with each of you individually right after I finish running shirtless and climbing up a skyscraper for no real reason whatsoever.) I hadn’t seen War of the Worlds in 10 years before beginning this project and on the rewatch, I found it to be EXACTLY as I had remembered it, having neither appreciated or depreciated in value during the gap in viewings. There are some great sequences and maybe the thing that works best of all is the Jaws­-like treatment of the aliens. Spielberg keeps them at a distance, I think, because the CGI wasn’t great and in doing so, he lets the tension boil a bit so that the reveal of a more practical effect (the snake thing in the basement) is an edge-of-your-seat moment. Lincoln occupies a strange, perhaps unique, space in the Spielberg Universe in that it is very good, very Spielbergian, and yet I don’t love it. I don’t ever rewatch Lincoln and honestly, I rarely even think about Lincoln. That’s not an indictment of its quality. Lincoln deserves all of the accolades and award nominations it received, and it is a worthy representation of this country’s greatest president. The acting is exquisite, Spielberg structured the movie perfectly, and the back story of his pursuit of Daniel Day Lewis, for me, enriches the dynamic between director and actor that you see on screen. So why don’t I love it? I think it comes down to the fact that Lincoln is, after all, a biopic. A great biopic, perhaps the greatest biopic (no research done here) of the biopic era, but a biopic nonetheless. And biopics bore me, quite frankly. I can accept that my connection to this movie (or lack thereof) is indicative not of the film’s quality but of my own personal taste and preference. As such, Lincoln is one of the few films on this list where the difference between “favorite” and “best” plays a significant role. I’d push it further up the “best” list and further down the “favorite” list and thus, here it sits, somewhere in the happy middle. There is no greater disparity between critical consensus and viewer appreciation in the Spielberg Universe than Hook and I am not happy about it. I was nine when Hook debuted, and I loved it for a million reasons. Peter Pan’s super cool sword, Rufio’s general Rufio-ness, Hoffman’s terrifying-yet-charmingly-flamboyant portrayal, my crush on Tinkerbell/Julia Roberts… I loved it then and I love it now. It was many years before I discovered that Old People (who, according to Hook and I agree, are fart factories) banded together and decided Hook was not great and in fact was very bad, I can only assume because they all forgot how to fly. Even now, at 35, when I watched Hook with my son for the first time, I found myself falling in love all over again, this time as an adult who longed to be young again, if only so that my knees would operate correctly. It is, perhaps, impossible for me to look at this movie objectively and without the sense of nostalgic wonder attached to it but I stand by Nine-Year-Old Brian’s assessment: Hook is awesome and I wish the Boo Box upon anyone who disagrees. I wasn’t overly impressed by Bride of Spies the first time around. It’s very good, very well-made, but it felt slightly less-inspired than most of Spielberg’s previous ventures into historical drama. Originally, I thought it was impeccable on the performance side but lacking in the story department and as such, I walked away a little disappointed. I think that has something to do with my fascination with The Cold War, and spy craft in general, which led to an unreasonable expectation that wasn’t met. Spielberg! Hanks! The Cold War! Spies! *I turn into a Tommy Boy-esque ball of energy* On the rewatch, however, I was much more in tune with the actual story than I was the first time around and even more impressed with the way Hanks and Rylance brought that story home. This isn’t a le Carre and I was foolish to expect Spielberg to give me a le Carre. Instead, he gave me a touching, honest, heartfelt look at a relationship between two ill-fitting friends that just happens to play out over the course of the Cold War. This is a very good movie that deserved more of my affection than I previously gave it and for that, I apologize. As a side note, the poster for Bridge of Spies is very bad and I don’t think that helped my initial impression as I will DEFINITELY judge a book by its cover without any hesitation. There are some quibbles to be had with The Post and its placement this high on the list is bound to draw some heat (assuming that literally anyone reads and cares about my rankings which I highly doubt). For me, however, having considered the film’s flaws at length, I’ve determined that they ultimately take away next to nothing from the overall strength of the film. I think this is a movie we’ll look back on with much more fondness than the cursory glance we gave it in the moment. The Post has a great sense of importance about it (perhaps that’s a flaw in your eyes, which I understand) but, and this is a very significant point in its favor for me, it’s also a great deal of fun to watch. Historical dramas aren’t often “fun” but the way Streep, Hanks, and the superb supporting cast all operate within the film’s general air of significance gives the movie much more life than I expected. On top of that, I genuinely think this is one of Spielberg’s best directorial efforts, maybe top five. It’s a masterclass in camera manipulation, in scene setting, in framing your characters, etc. I almost cried just watching the camera move through the newsroom and the impeccably edited extended sequence in Ben Bradlee’s house is immaculate. 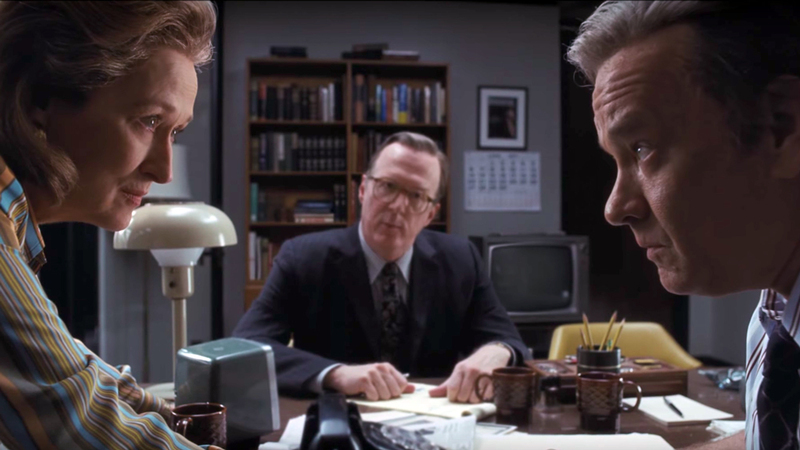 For me, The Post is some punched-up dialogue and one or two edits away from a perfect movie and puts all of Spielberg’s virtues on full display. I’ve seen The Color Purple only twice: Once in college when I truly started to digest film instead of just watching movies (the most pretentious sentence ever uttered, I apologize) and wanted to catch up on all the films of my favorite directors, and then a second time while working on this project. It’s a powerful film, based on an even more powerful source material, brought to life by an incredible cast and Spielberg’s impeccable understanding of his audience. That’s the key with Spielberg, isn’t it? No one keeps a finger on the pulse of his viewers like Spielberg does and I feel like that’s on full display with The Color Purple. In the hands of another director, this movie becomes unbearably bleak. Like, Precious-levels of bleak; like, Monster’s Ball-levels of bleak; like, “Lock yourself in a closet and sob for days”-levels of bleak. I think Spielberg knows that, in order for the movie to succeed, he has to keep his audience from dipping below the Lars Von Trier Bleakness Point of No Return. 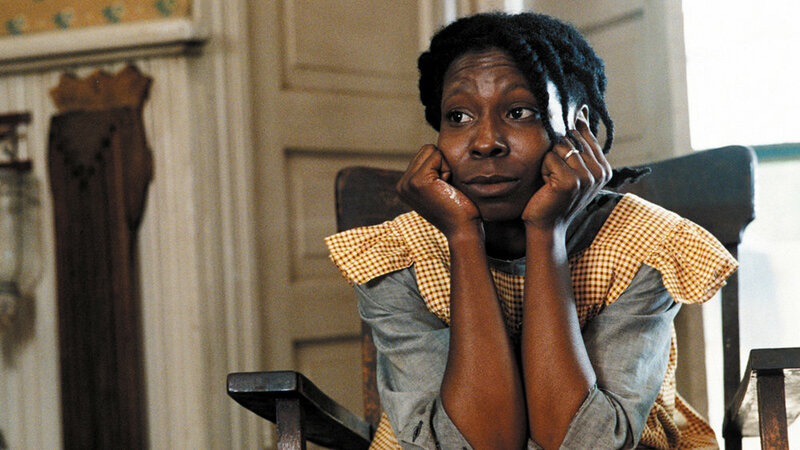 What strikes me most about The Color Purple is not the happy ending offered to Celie in the final act but rather this inkling of hope that pervades the entirety of the film. You have no reason to believe that literally anything good is ever going to happen to this poor woman but there’s a hint of it in almost every scene. Without this tiny speck of hope, the happy ending doesn’t really matter because the audience has already given up and locked themselves in their respective closets before it ever plays out on screen. Munich is an extremely complicated movie and as a result, it’s difficult to write about. It is supposed to be, in Spielberg’s own words, a “prayer for peace” and yet, for most of its runtime, it plays out like anything but. Vengeance is not a virtue in the Spielberg Universe and in fact, it’s not even present in most of his movies. It’s touched on here and there, most notably Corporal Upham’s redemption of sorts in Saving Private Ryan, but never as a central theme and never glorified. Munich goes off the track in this regard. I don’t think there’s any way around calling Munich an angry film, another emotion that doesn’t typically feature prominently in Spielberg’s filmography. Eric Bana’s character is reluctant in his anger, in his quest for vengeance, but he acts on it nonetheless, often in brutal, unforgiveable ways. One of the things that I love about Spielberg movies is seeing myself, or my emotions, in the characters on screen; he’s a master at putting you in the shoes of the characters. At the risk of speaking for someone whom I will never meet, I think Munich is Spielberg turning this patented dynamic in on himself. It’s a fantastic film that tries, sometimes unsuccessfully, to wade into increasingly choppy waters and its virtues are plentiful. But to me, what makes Munich great, almost transcendent, is the feeling that the film is a personification of Spielberg wrestling with himself, of his attempts to reconcile his anger with his desire for peace.